President Donald Trump said he is looking at CNBC contributor Larry Kudlow “very strongly” to be his top economic adviser. Multiple reports on Monday indicated that Kudlow is the frontrunner. Trump’s pick will be a major indicator of his economic agenda going forward. The race to replace Gary Cohn as the director of the National Economic Council appears to have been narrowed down to one leading candidate. President Donald Trump said Tuesday that he is “looking at Larry Kudlow very strongly” to take over as his top economic adviser. “I’ve known him a very long time. We don’t agree on everything, but I think in this case I think that’s good because I want a divergent opinion,” Trump said before boarding Marine One outside the White House. 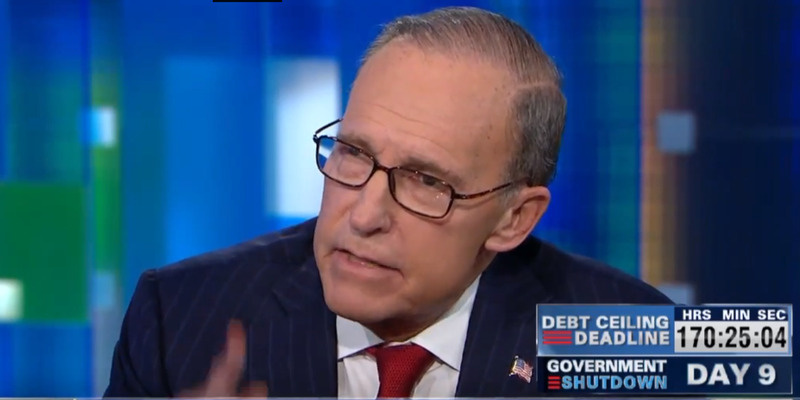 Multiple reports on Monday suggested that Trump is homing in on Kudlow, who long supported Trump during the 2016 campaign. Kudlow, who has appeared on CNBC since 2001, was previously floated for other economic jobs in the Trump administration. Separately, a source who has advised Trump on economic issues told Business Insider last week that Kudlow was a leading candidate for the job. Kudlow, who has been critical of Trump’s approach to trade, recently blasted the president’s decision to impose broad tariffs on imports of steel and aluminium. If he is selected, Kudlow is likely to fill a void of pro-free-trade advocates that has developed in the White House over the past few months. Trump said Tuesday that Kudlow shifted on the tariffs, despite a recent op-ed attacking the president’s decision to impose trade restrictions on imports of steel and aluminium. A White House spokesperson told Business Insider on Monday there were no personnel announcements at this time. 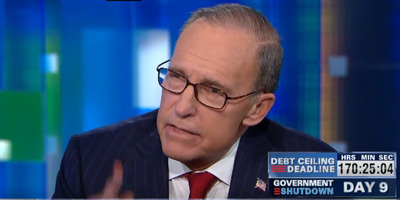 Kudlow served as a staff economist during the Reagan administration, was the chief economist for Bear Stearns from 1987 to 1994, and has regularly appeared on CNBC since 2001. The New York Times’ Maggie Haberman and Jim Tankersley reported Saturday that Christopher Liddell was considered the leading candidate for the job. But, Haberman tweeted Monday that Trump cooled on Liddell after a Wall Street Journal editorial blasting the candidate and pushback from other advisors. Liddell, the White House’s director of strategic initiatives, was previously the CFO of Microsoft and General Motors. Investors and economists are closely watching the pick, as it could indicate the direction of Trump’s economic agenda, particularly now with trade. Cohn was seen as a free-trade advocate who pushed back on Trump’s desires for large tariffs and trade restrictions, and a replacement favouring trade barriers could set off concern that Trump will lean into his protectionist tendencies.